“Man is a tool-using animal. Without tools he is nothing, with tools he is all.” T. Carlyle. No matter what it is you set out to do, it’s always useful to obtain the best possible set of tools you can put your hands on. This statement is especially true in online endeavors where cool, new solutions can be found every day for old and new problems. That is why we at Conversioner make a principle out of always trying out new conversion optimization tools. For your convenience we’ve rounded up a short list with six of our recent favorites tools. We’ve categorized each tool according to its marketing and day-to-day value in the categories below. Let us know if you’ve found that other tools in a category perform better, have additional cool features or if you think there are other important categories we left out. If you are going to attempt any kind of conversion rate optimization you’re going to need to use at least one tool from this category. These tools allow you to get quantitative and qualitative data and insights in a practical and visual way. Most tools will provide heatmaps capabilities including click, mouse movement and scroll heatmaps and some will let you view actual session recordings from your site. These tools will serve you in your initial analysis, understanding how users interact with your site, and in later steps when you implement changes and want to measure the effect. This category of tools is often neglected and many still use email correspondence when working together on visual projects such as web pages or mobile apps. There are many different ways in which these kind of tools can be used, practically unlimited, all of which are aimed at making these sometimes complicated processes simpler, easier and more productive. Why we love it: Using Invision revolutionized the way we work with designers and developers on web pages and mobile screens. Whether it’s having a creative discussion over a specific element on a page or providing technical QA notes to a front end freelance developer, using the graphic interface allows you to overcome language barriers and get to the point. If you’ve been experimenting with conversion rate optimization you already know that there are major technical aspects to the process. How your pages perform on different platforms and browsers directly impacts conversion rates. Just one second of excess load time or a design bug on one specific browser can seriously drag your conversion rates down. Fortunately there are different tools that can help you find and solve technical issues on your pages. Why we love it: we cannot overstate how important this tool can be. Not only will it provide within seconds an actionable list of tangible, few-minutes fixes that can get your page to load faster, thus improving your conversion rate, but these fixes also have a direct impact on Google ranks and can help in making your site show higher in organic search results. Don’t forget to checkout both the Mobile and Desktop tabs. A/B testing is probably the step most associated with the conversion rate optimization process, and with good reason. For years now there have been two testing platforms dominating the market alongside Google’s good ol’ free Content Experiments. We have yet to find a new platform that can compete with Optimizley or VWO in terms of the technical accuracy and ease of use. Both provide good options for A/B, split and Multivariate tests. Why we love it: Each tool has it’s advantages and disadvantages, so if you’re interested in the details we suggest this Quora thread. Personally, I have grown to like VWO more. Admittedly, this might be because the tests I ran with Optimizley in the past failed and those I’m running now with VWO are winning. One feature I particularly like on VWO is the ability to edit css across multiple pages throughout a funnel. This category incorporates tools with diverse and original functions, all allowing you to interact with your users and increase your conversion rates one way or the other. You can collect and analyze quantitative data and insights from your users, communicate directly with them through polls or surveys and you can use live chat to engage your users and provide live technical support and sales. Why we love: Zopim’s platform is easy to implement and has the most elegantly designed live chat widget among the tools we’ve used. 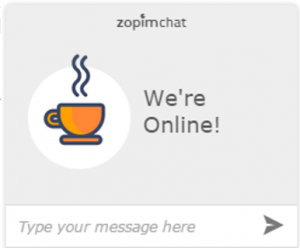 Once you install Zopim on your site your users will be able to chat with you in real time. Or, if you are offline, they can leave a message resulting in a new lead. There are many different tools that can help you communicate a pinpointed message to your users in a variety of ways. Widgets, popups and other external tools can lead to significant increases in your conversion rates. Some of them allow segmentation and personalization of messages and actions, resulting in even better improvements. One important caveat regarding this category of tools: AVOID SPAMMING YOUR USERS. These tools are distracting your users from the organic elements on your page. If you’re not careful you can easily find yourself hurting your conversion rates instead of improving them. Why we love it: The only proper mobile solution for this category of tools we know of, this tool lets you use and internally A/B test smart mobile layers, offering your users one specific personalized call to action (Call Now, Leave email, Coupon, Link and others). Maybe the best thing about Banana-splash is that the layers can easily be designed to deliver a personalized emotional message. With so many websites still using just one non responsive display size, this tool can increase conversion rates a few times over if used properly. 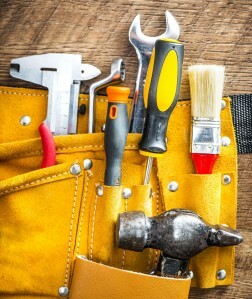 What are your favorite conversion optimization tools? We’re Looking forward to your comments below!